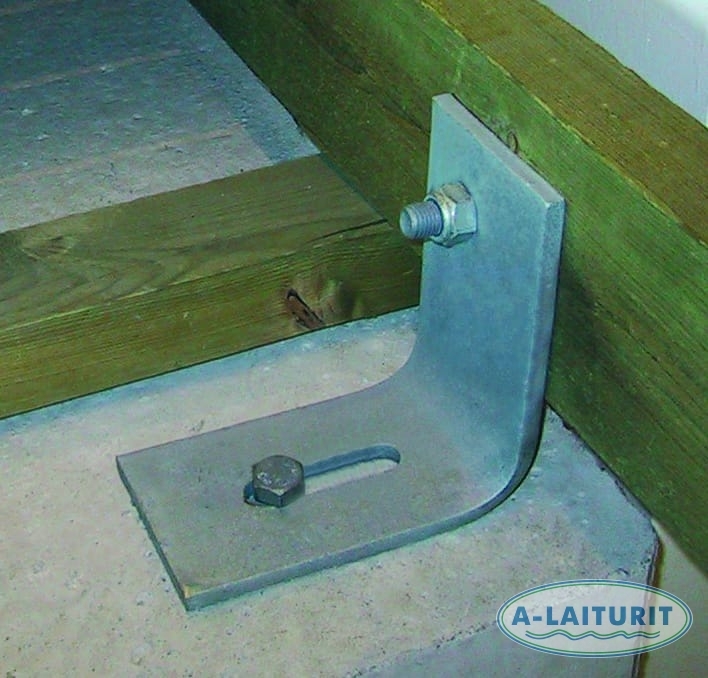 The series of corner braces is intended for connecting the wooden deck of the pontoon with a concrete float, specifically those floats belonging to the A- and S-series in our catalogue. The corner iron can also be used to fasten other structures to each other in places that require sturdy and reliable corner attachment. 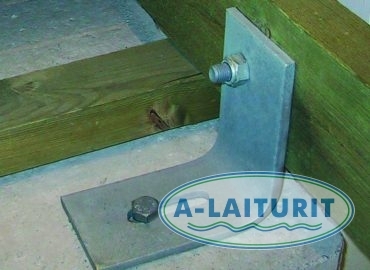 The package includes 4 corner irons and corresponding screws and bolts: the material needed to connect one pontoon. Thickness: 10mm.